Any road grit that finds its way into moving parts can result in binding and uneven wear. And there is a greater potential for damage from larger highway debris striking moving parts, air lines and wiring harnesses. Of course, wear and damage from road grime and hazards can happen at any time, not just winter. But in the winter months, inspections may need to be performed with greater frequency depending on the driving environment. During regular maintenance inspections, one problem technicians may encounter is uneven brake wear on opposite sides of an axle. Let’s take a look at three potential issues that might cause this uneven wear. First, inspect the air lines going to the wheels to ensure they are not crushed, pinched or leaking. Crushed or pinched lines potentially create a restriction to one side that results in delayed, reduced, or no braking to that wheel. Thus, the opposite wheel brake will wear much faster. When a line is leaking to a single wheel, the potential exists for the brake canister to fail to apply force equal to the side not leaking. Second, check the brake camshaft to see if it is frozen or binding. With the extra debris on the road during the winter months, these exposed moving surfaces are particularly at risk. In addition, the water and grit common to winter driving conditions also carry the potential to displace existing lubrication. Third, inspect the brake drum surface for damage. Foreign material entering into the braking surface may cause uneven wear. Grooves in the braking surface on one side of an axle diminish its stopping ability, thus bringing about faster wear on the opposite side. Loose wheel bearings may result in uneven brake wear. Inspect the wheel bearing endplay when diagnosing uneven brake wear and adjust or replace as necessary. Make sure the correct brake lining for the application is being used. While this might not be the most common problem, it’s important to determine what brake linings are specified for the application and not necessarily what is on the vehicle that is experiencing uneven wear. Know how the driver applies the brakes to the vehicle. Consult the driver for driving habits. Also, refer to the service and operation information for proper driving techniques. Vehicle operation in the winter months clearly carries with it a variety of challenges when it comes to maintenance. However, just being aware of the potential concerns associated with winter operation is a good start. 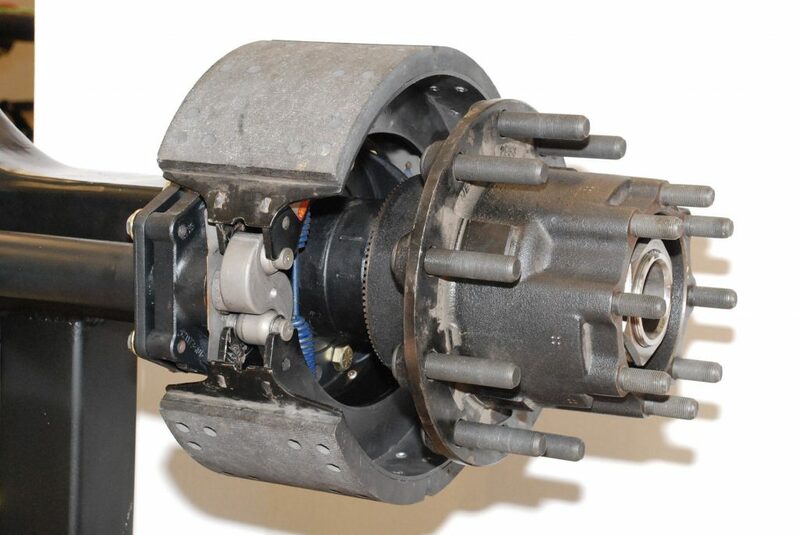 Recognizing the need for more frequent inspections of brakes and other exposed components not only enables the fleet to avoid unnecessary downtime, but also increases vehicle safety.